TOKYO (Bloomberg) -- Honda Motor Co. said it will resume some production in China as it seeks to reach an agreement with workers to end a strike that halted all its production in the country. Honda will build 50 Jazz compacts at its export-only factory in Guangzhou, Guangdong province, on May 31 using component inventory, Tomoko Uchida, a company spokeswoman in Tokyo, said by phone today. Production at the carmaker's three other plants will remain suspended for an indefinite period as labor negotiations continue, she said. Honda shut down all four of its auto plants earlier this week in China after 1,850 workers at a parts unit went on strike demanding a pay rise, stopping production in the world's biggest car market. Trade unions and employers appear to be reporting a growing number of strikes in China, although there are no official numbers, according to International Labor Organization in Beijing. Honda closed two plants in Guangzhou on May 24 and factories in Guangzhou and Wuhan, Hubei province, on May 26, the company said Thursday. Workers making transmissions and engine parts at Honda Auto Parts Manufacturing Co. in Foshan, Guangdong province, went on strike May 17, said Zhu Linjie, a Beijing-based spokesman for Honda. About 1,850 workers at Honda Auto Parts Manufacturing Co. in Foshan, Guangdong, walked out May 17 demanding a pay raise, causing Honda to halt output as parts ran short. 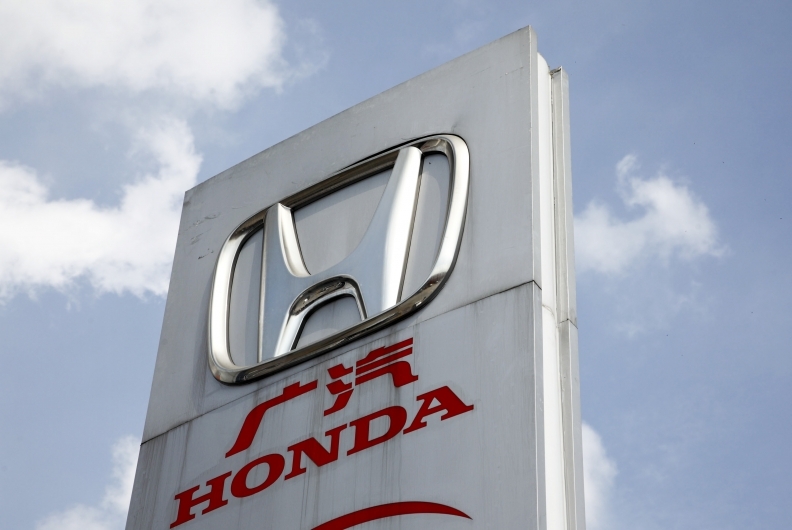 The 1,850 workers at the parts plant are demanding monthly pay be boosted to between 2,000 yuan ($293) and 2,500 yuan, from 1,500 yuan, Honda spokeswoman Yasuko Matsuura said on May 27. The action is a sign that automakers can expect rising labor costs in China, said Yasuhiro Matsumoto, an analyst at Shinsei Securities Co. in Tokyo. The nation's vehicle sales may rise 17 percent this year to 16 million as annual demand for automobiles may eventually exceed 30 million, according to an official at the State Information Center. The walkout is the first to stop Honda's production in China. The company isn't disclosing how many vehicles have been affected. Honda's sales in China accounted for 17 percent of its global sales last year, the carmaker said. The company's namesake brand ranked fifth in China by unit sales in April, according to J.D. Power & Associates. Honda may increase China sales 9 percent this year to 630,000 vehicles, Chief Executive Officer Takanobu Ito said last month. The parts factory, a wholly owned Honda subsidiary, started production in 2007 and makes transmissions for the Accord, City Odyssey and Fit models, according to the company. Honda plans to raise production capacity in China by 28 percent to 830,000 vehicles a year by the second half of 2012 and introduce two new models as car demand grows in the country, CEO Takanobu Ito said in Guangzhou on May 25. The strike is continuing and the workers' union is complying with labor laws and regulations, its chairman, who identified himself only by his surname, Wu, said when reached by phone Friday. He declined to comment further. Local government officials in Foshan City's Shishan county are involved in the talks between workers and the automaker, Honda's Zhu said Thursday. The local government issued a statement a few days ago that said that Honda hadn't violated China's rules on workers' compensation or their working environment, he said. “If the workers are paid more, people's spending power will gradually go up, but that's a long process and companies will suffer with higher costs,” said Shinsei's Matsumoto. Japanese factory workers probably earn 10 times more than China based factory workers, said Koji Endo, a Tokyo-based analyst at Advanced Research Japan. Honda produces about 3,000 vehicles a day in China, Endo said. “They will probably be able to make up for the production loss later in the year,” Endo said.